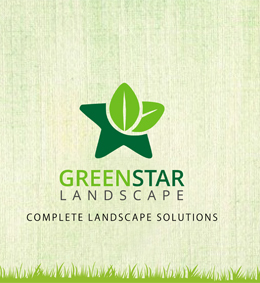 Greenstar Landscape Private Limited has always been a customer-centric firm, especially when it comes to landscape development and installation. Knowing the requirements of our customers beforehand is our priority, which is ensured by conducting an interactive session with the client before designing any landscape. Landscape development comprises of three main stages: designing, developing and installing. We always keep a keen eye on changing trends and consequently work accordingly. Our offered installation and development services are tested and highly equipped for large and complex projects. Our installation process consists of placement of natural things like pathways, plants, arrangement of potters, walls and decks, while the architects at Greenstar give creative solutions to your landscape and the expert designers assist with pool settlement, sidewalls installation and driveways. Our services not only give an attractive look to your surroundings but also increase the significance of your property without taking much of your time. We execute all the plans within the given time frame. Giving your ambience a fresh look, we execute all our plans accordingly. We believe in giving a new and attractive look to your place so that people can appreciate our efforts and your choice. Designing and creating landscapes is our primary goal. Maintaining these landscapes is part of our service. We at Greenstar use the best material available qualitatively, which is sourced from trusted vendors. Despite high quality, our prices are humble and feasible. Landscape installation is done as per the requirements and budget of the customer and in such a manner that your property becomes exclusive & out-of-the-box. At Greenstar Landscape (based in New Delhi), we provide services in the field of enhanced commercial and residential landscaping across India; in short, our brilliant team of professionals makes your property more valuable, lavish and aesthetic by creating inventive and customized masterpieces for your residential or commercial land. © 2016 Greenstarlandscape. All rights reserved. Designed by Viratel.